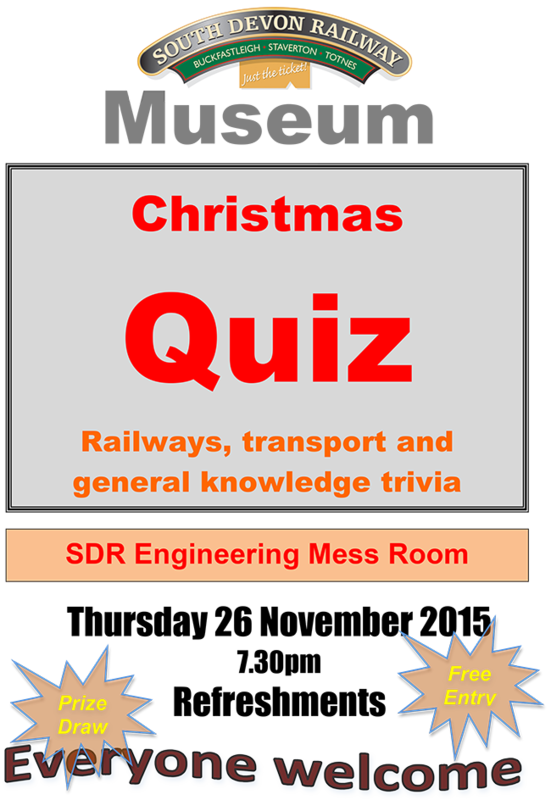 The final Thursday evening meeting for this season will be the Christmas Quiz, a mixture of trains, transport and trivia – something for almost everyone. There will be the usual prize draw, quiz prizes and refreshments. Do try to come along – it should be another enjoyable evening.